Slippery elm bark is an herb that was originally used by Native Americans to treat symptoms associated with gastrointestinal upset, cough and sore throat, according to "Prescription for Natural Cures." In the 21st century, powdered slippery elm bark is used to make a tea to calm upset stomach and sooth sore throats. Never use an herbal remedy as a substitute for doctor's care. 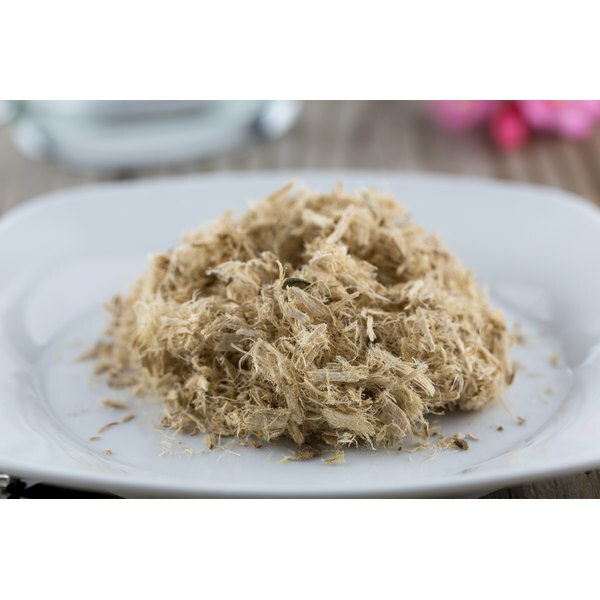 Visit your physician to determine if slippery elm bark is suitable for your needs. Fill a teapot with 12 oz. water. Place the teapot on the stove top, or plug it in if it is an electric teapot, and bring the water to a boil. Add 2 tbsp. slippery elm bark powder, which "Making Plant Medicine" advises can be purchased at many health food stores, to the mug. Pour the boiling water into the mug. Allow the slippery elm bark to steep in the water for three minutes. Stir the tea with a spoon for one minute, then allow the slippery elm bark to steep for another minute. Sip the tea when the temperature cools to a comfortable point, which typically requires one to two minutes.